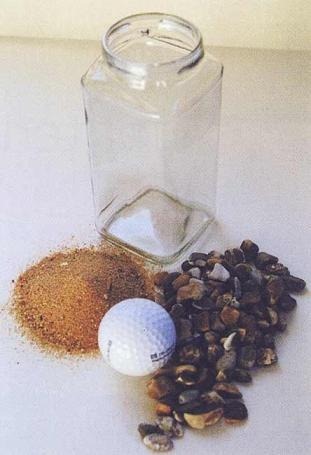 began, he wordlessly picked up a very large and empty mayonnaise jar and proceeded to fill it with golf balls. He then asked the students if the jar was full. They agreed that it was.